It’s not surprising to learn that the St. Ignatius Mission, located on Montana’s Flathead Indian Reservation, is included in the U.S. National Register of Historic Places. 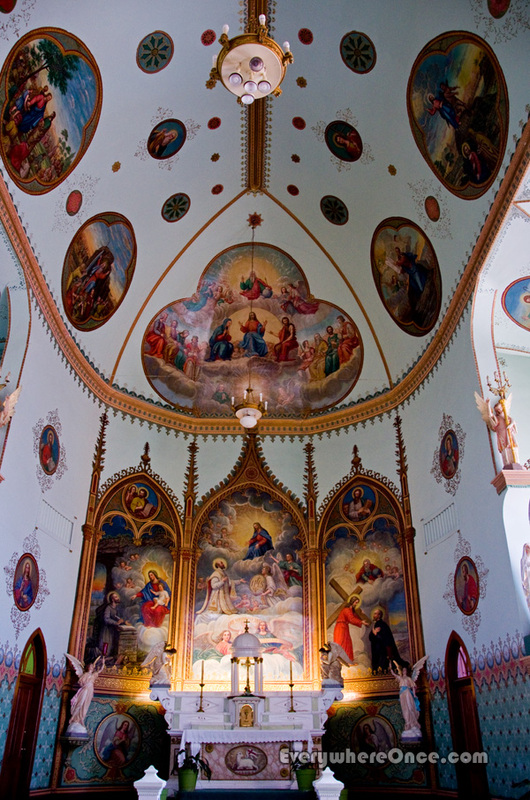 Or unusual that the reason for its listing is the 58 stunning murals that adorn the mission’s walls and ceiling. 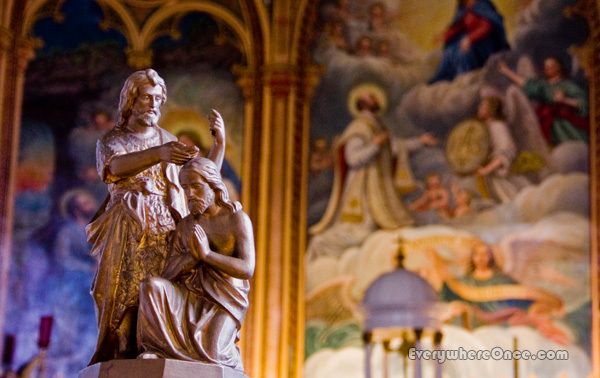 What is uncommon, though, is Brother Joseph Carignano: the untrained amateur artist employed at the mission as a handyman and cook who painted them all in his spare time. Wow. My partner cycled through that area this fall. Had he known.. I think this is a wonderful post and the photos are great. I went to an Indian mission where I saw a wonderful painting of Mary as an Indian Squaw with baby Jesus on her back in a papoose. I wonder if it is the same mission. Did you take any photos of that? Incredible! I can’t believe a naive, amateur artist created all of that! Thanks. Cant believe that he painted all of that in his own free time? That is incredible – and so amazing that he wasnt even trained! It is exactly what I’m looking for. Thank you so much.